One of the fastest growing flooring material, laminate flooring is highly durable, affordable with nearly least possible chances of attracting stains. This hack is perfect for your child’s room or your pet’s room and even your kitchen where food spilling options are maximum. These products are expertly designed to become UV resistance thereby increasing lifespan. A cost-effective way of mimicking premium wood or stone look, use this idea to set up specific floors of your 4 BHK flats for sale in Kolkata. The first impression that cork floors make is that of its softness and is often used in kitchens where one has to stand for long hours. What is interesting is its affordability while one can refinish it as and when required. These flooring materials due to its chemical properties are also beneficial for people who are allergic to dust and insects. 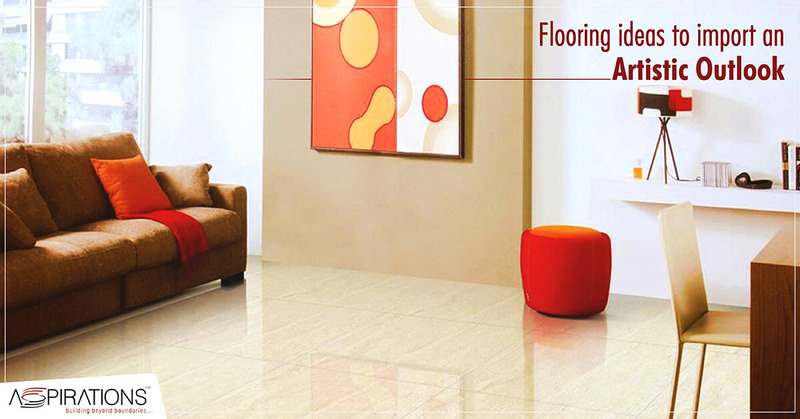 An easy maintenance solution, you can invest in cork flooring at your residential complex in Kolkata. A practical choice in flooring, vinyl floors are fortified against accidental slipping. These are extra waterproof when connected with concrete floors which often suffer from water seepage. They come in various formats and styles reminiscent of retro times and in-vogue traditions. A popular choice in the vinyl floor is to opt for a pattern that represents garden greenery! Sounds interesting? Keep them in mind when you are intelligent of affording Aspirations flats in Kolkata for sale. Stone flooring: The most archaic style of stylising your rooms is with the use of stones. With durability standing unquestionable, stone floors or stone tiles go hand-in-hand with retro furniture and antiques. An easily cleanable option, rugs can be used to give a comfy effect for your growing children. As floors become the most crucial part of your home, acting as the warm harbinger for your guests and beloveds, use your creativity and the sense of aesthetic appeal to make life with Aspirations flats in Kolkata for sale grand, safe and secured.